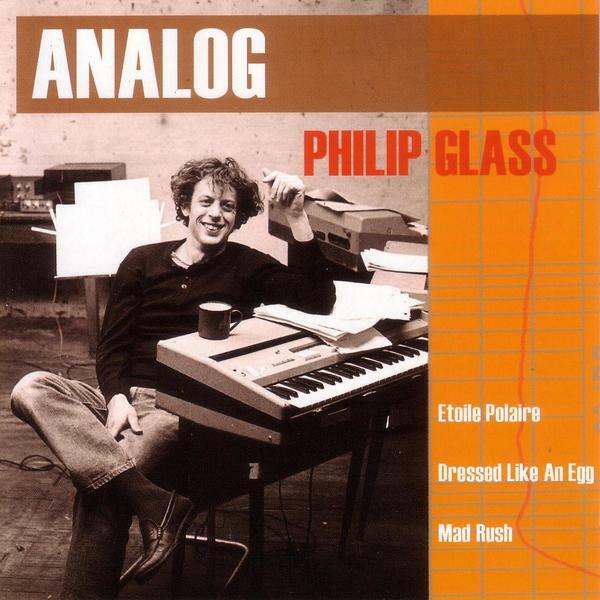 This is quite a treat - a collection of very rare analogue synthesizer and organ works from the great Philip Glass, much of it never before released! Many of you will be most familiar with Glass thanks to his seminal score for Koyaanisqatsi, but the first of the scores collected here pre-dates even that early work. Glass was asked by two film producers; François de Menil and Barbara Rose to put together a soundtrack for a piece they were producing called 'Mark di Suvero, Sculptor'. The music itself is typically Glass in structure yet the sound is what makes it truly astounding - opening with 'Etoile Polaire' the scene is set with looping vocals and a slowly introduced analogue organ sound adding to the rich pattern. The phrases are so important here, dancing over each other so perfectly - wordless vocals and twinkling synthesized sounds making a dense mass of sound all harmonically balanced wonderfully. It's easy to hear the influence Glass has had on more contemporary score composers like Cliff Martinez for instance, but also you can hear the influence he has had on so many other writers of the time. There are almost synth-prog leanings on many of these tracks which send my Goblin-crazed ears into fits of pure pleasure, and those of you left stunned by Shogun Kunitoki's incredible debut album 'Tasankokaiku' will no doubt be equally as captivated by each of these vignettes. The album closes on probably the most crushing piece - a sixteen minute organ work entitled 'Mad Rush for Organ' recorded for the dance piece 'Mad Rush' and has never before been released. The sounds on here are crucial, analogue organs layered over each other, arpeggios dancing amongst each other - the track builds and builds only giving hints at what must have made up the visual accompaniment before slowing down calmly and coming to a measured close. Quite fabulous music from one of the 20th century's most important composers - buy!